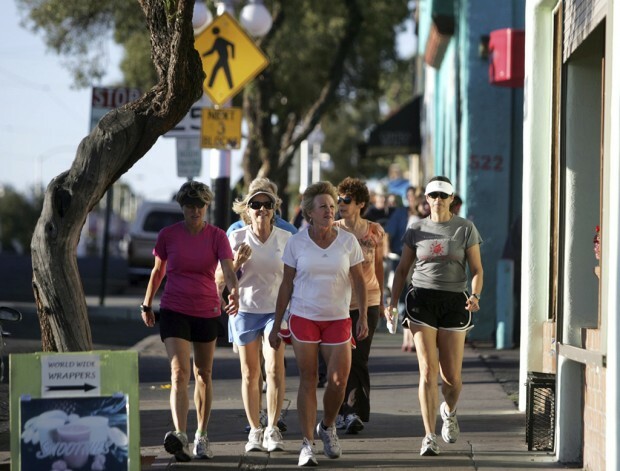 Walking along Fourth Avenue during Meet Me at Maynards is a great way to socialize and get to know what downtown offers. Broadmoor-Broadway Village residents (pictured from left to right) Ibis, Kestrel and Jenniffer Funk-Weyant visit the recently-installed Poetry Mailbox to enjoy free poems. A streetcar picks up riders at the Main Gate stop. The Thursday-Saturday schedules will change starting today. PACC volunteers, Rachael Gardner and her grandmother, Judi Miderski, take dogs Smoochy (left) and Raggles (right) for a walk at Christoper Colombus Park, in Tucson, AZ, on Thursday, June 29, 2017. Pat Coleman takes a photo with a disposible camera of a night-blooming Cereus, Peniocereus greggii at Tohono Chul Park. Cori Runyon stocks this small pantry with tampons, pads, toilet paper, food and other essentials at 102 E. 31st St.
Joan Thomas and grandson Leo Valdivia get acquainted with the selection at a Little Free Library at East Broadway and South Country Club Road in 2014. Council members Regina Romero, left, Paul Cunningham, Karin Uhlich, Richard Fimbres and Steve Kozachik at a meeting of the Tucson City Council, Tuesday, August 8, 2017, Tucson, Ariz.
Local produce is offered for sale at a table run by the Community Food Bank during a farmers market in the Mercado San Agustin in 2013. Buffelgrass crowds out native vegetation, robbing animals of food and habitat. It catches fire easily and burns fast. Bob Small tends to morning maintenance of clearing weeds at the Civano Community Garden near Houghton and Irvington roads. A committee oversees the garden’s activities. This Tugo station is outside the Tucson Convention Center. There are 35 other stations, many concentrated in the downtown area. Clouds from a series of storm cells surrounding the area hover over Benjamin Supply and its Agave Woman mural, downtown, Wednesday, August 3, 2016. In 2018, resolve to make Tucson just a little better. There's plenty you can do, no matter what your thing is. We have 18 community-building suggestions (you know, 18 ideas for 2018? ), but we'd love to hear your ideas, too. 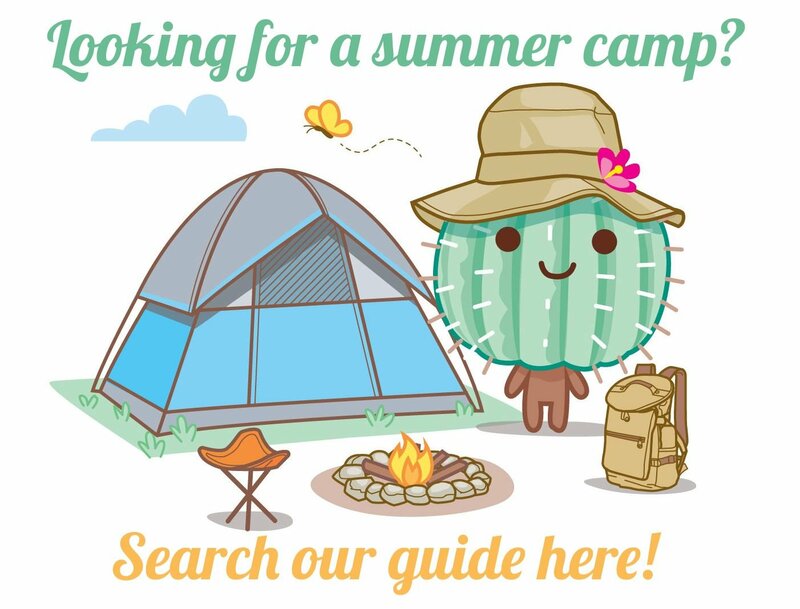 How do you plan to show your love for Tucson this year? Spend a Saturday figuring out what is within walking distance of your home (A library? A park? Your grocery store?) — and then commit to walk to those places when you have time. Not only will our air quality benefit, but you'll get to explore your neighborhood in a new way. Or get to know downtown with the weekly Meet Me At Maynards on Monday evenings starting at Maynards Market and Kitchen, 400 N. Toole Ave. There's also Meet Me Wednesdays. That route starts at St. Philip's Plaza and continues on The Loop. Build some extra time into your next trip to Fry's Food Stores or Target and round up a few stray carts. You'll get some exercise and give back just a bit to your local market. The Poetry Mailbox is in the Broadmoor-Broadway Village Neighborhood on the Treat Walkway. Started by poet Elizabeth Salper and several neighbors, the mailbox is regularly stocked with poems. If that's too far for you to venture, Salper's group the Urban Poetry Pollinators can help you bring poetry, maybe in mailbox form, to your own neighborhood. Bonus idea: Salper started by chalking poetry in her neighborhood — totally doable. If you are an expert on a current issue affecting our community (or just a thoughtful, concerned citizen) and you want to share your thoughts, you can submit a Letter to the Editor or Guest Opinion to the Arizona Daily Star and tucson.com for consideration. Find those guidelines here and here. It's been done before. Mr. Nature, Crystal Stark, Christmas carolers and other musicians have serenaded streetcar riders. Sun Link is always looking for family-friendly ideas to make a streetcar ride a little more musical. To make this official, you need to contact Pat Richter, Sun Tran's marketing director at 206-8810. Volunteer with Pima Animal Care Center to walk dogs or cuddle cats. Exercise and human time keeps animals socialized and improves their chances at adoption. There's lots of ways you can help the the shelter. Fill out a volunteer application here. Order a shade tree online from Trees for Tucson — $20 for desert trees and $25 for non-native edible trees. If you live within a 30-mile radius of downtown, Trees for Tucson will deliver the five-gallon tree to you. Visit tucsoncleanandbeautiful.org/trees-for-tucson for more information or to shop trees. You probably already snap pictures with your phone everywhere you go. Why not be intentional about documenting Tucson's beauty from your own point of view? Kristin Tovar did this several years ago on Instagram, using the hashtag #WhyILoveWhereILive, and that social media account blossomed into a full-blown business and made her fall in love with Tucson. The little pantry at 102 E. 31st St. provides free hygiene supplies to people in need. Cori Runyon started the pantry as a way to help women strapped for cash — especially at that time of the month. The pantry has food, water, tampons, pads and other necessities. Help keep it stocked! This Facebook group coordinates restaurants or shops to patronize on a specific day. It's an effort, organized by Kirsten Cummins, to keep dollars local. The next cash mob is currently planned at Mi Nidito Sunday, Jan. 21. Plant a box full of books in your neighborhood and stock it with your favorites. Tucson has more than 40 of these lovely libraries all over town. You can see a map of those and learn more about how to build and register your little library at littlefreelibrary.org. Whether you opt for Tuesday night city council meetings or decide to speak up at school board meetings, you have a chance to participate with the bodies that make decisions for you and your family. Challenge yourself to make a week's menu inspired by in-season, local produce. Here is a list of Tucson farmers markets for whichever side of town you call home. Buffelgrass is an invasive species and the scourge of the saguaro. Buffelgrass beats out native wildlife for nutrients and water and makes our desert more flammable. Volunteer weeding sessions will be organized Jan. 27 through March 4 — it's Beat Back Buffelgrass Month! Visit desertmuseum.org/buffelgrass/ to find scheduled buffelgrass pulls and to sign up to volunteer. Get creative with this. You can do a morning coffee meet-and-greet or an epic community feast — like a mini Noche en Blanco, the massive pop-up dinner event that got cancelled last year. The point is meeting your neighbors and building community. Join a preexisting community garden or start your own — but be warned, starting your own takes a whole lot of work. The Community Gardens of Tucson has about 20 gardens with plots available located all around Tucson. You'll pay approximately $20 monthly to use the grounds, and that includes irrigation, water and tools. Contact the site coordinator for the garden you're interested in, and someone will get you set up. Or, if you want to plant the seeds of a new garden on your own, this story has some tips on how to get started from neighborhoods that did it. This is easier than ever with the introduction of Tugo Bike Share. Bikes are available for rent around the university and downtown areas for just $8 a day. An annual pass is $80. Ride and return it to any Tugo bike rack. Or sponsor an arts education workshop for your neighborhood or workplace. Peruse the murals downtown or learn from a local artist — you'll support the Tucson Arts Brigade, and subsequently, the beautiful public art they share with our community. To learn more about how you can enrich your life via art — and how much a tour or workshop costs — visit tucsonartsbrigade.org/arts-education. 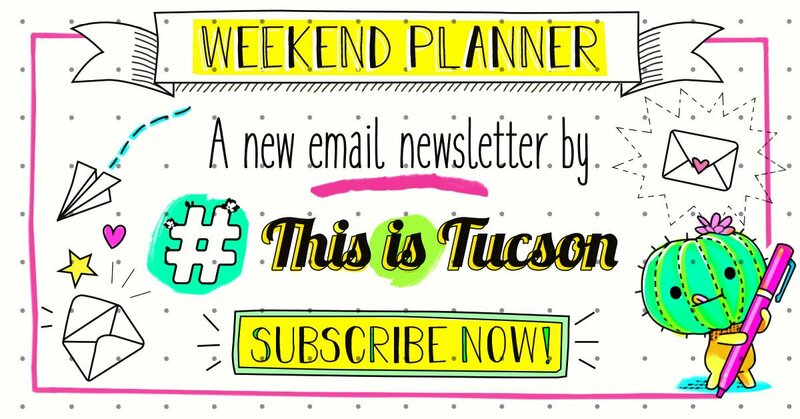 How will you make Tucson kinder this year? I just finished reading this book that’s all about making the place you live a place you love. Earth Day is like the New Year's of green living — how can we commit to taking better care of our beautiful desert all year? Help make the magic happen.